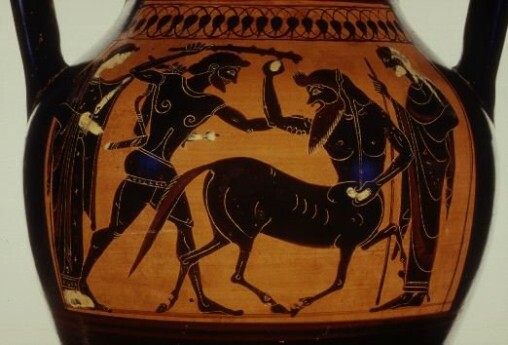 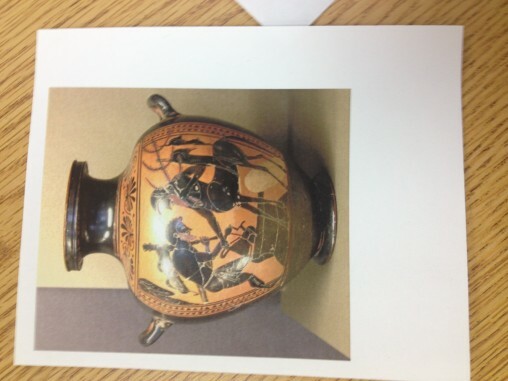 This is a supporting image for Hercules and Pholus on a vase. 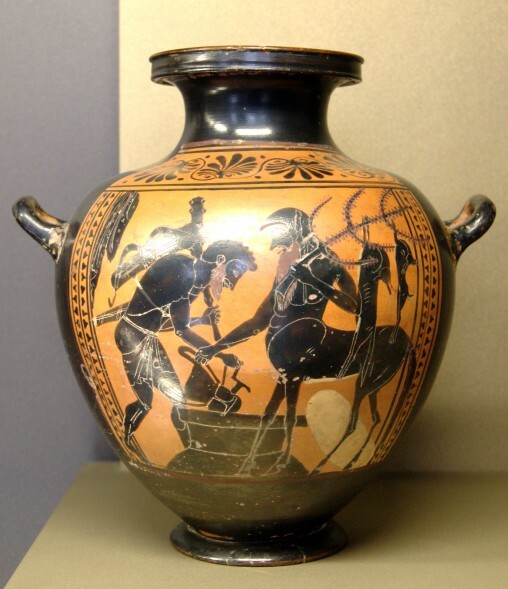 Pholus was a friend of Hercules, was respected and known to be wise. 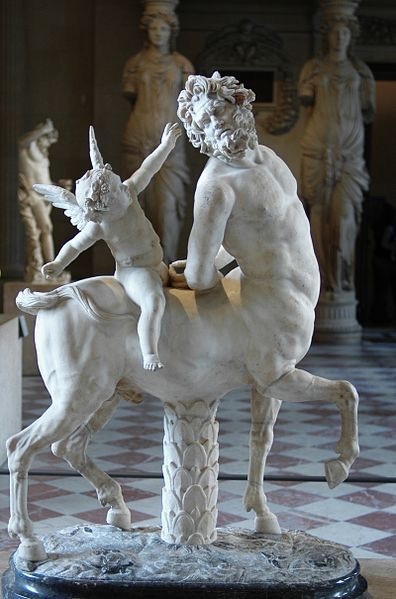 This statue called “Centaur and Cupid”. 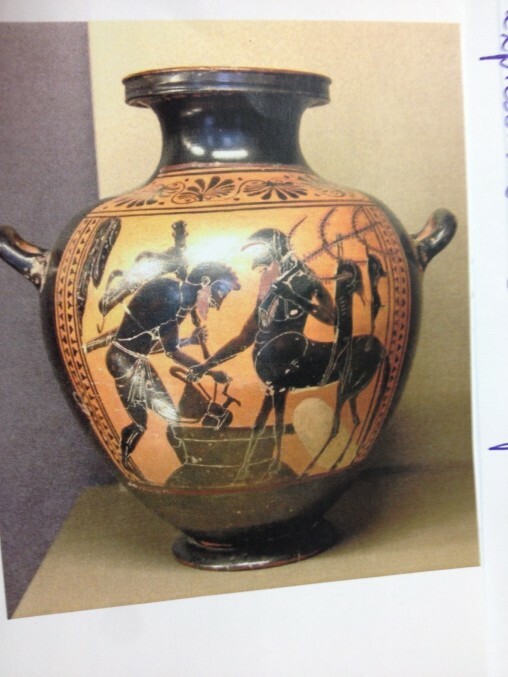 It is another copy of the same type as the old Centaur in ” Furietti Centaurs” , which made by white marble….